Computer security touches every part of our daily lives, from our computers and connected devices, to the wireless signals around us, and breaches often have real and immediate financial, privacy, and safety consequences. 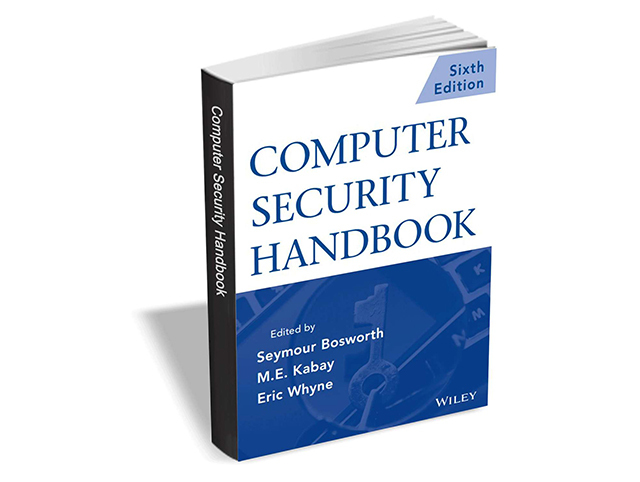 Written for professionals and college students (but accessible to all), the Computer Security Handbook from Wiley provides comprehensive best guidance about how to minimize hacking, fraud, human error, the effects of natural disasters, and more. It usually retails for $130, but BetaNews readers can get it entirely for free. The ebook, contains advice from top professionals working in the real world about how to minimize the possibility of computer security breaches in your systems. The highly-regarded reference maintains timeless lessons and is fully revised and updated with current information on security issues for social networks, cloud computing, virtualization, and more. To get the handbook for free, go here, enter the required details, and click the Download button. The offer expires on May 10, so act fast.